It sure ain’t pretty, but it is intriguing. Today’s recipe was inspired in part by my unrelenting desire for lychees and my utmost fascination with pirates. It’s no surprise that the resulting concoction is none other than a rum-filled, mint savvy mojito with eccentric lychee ice cubes. Nay, I didn’t make up this recipe on my own. In true pirate tradition, I stole most of the contents from AllRecipes.com and added in the lychee ice cubes as a wayward experiment. Aye, the lychees look like eyeballs. But in my defense, they are delicious little treasures, and add a certain sweetness to an already impressive drink. 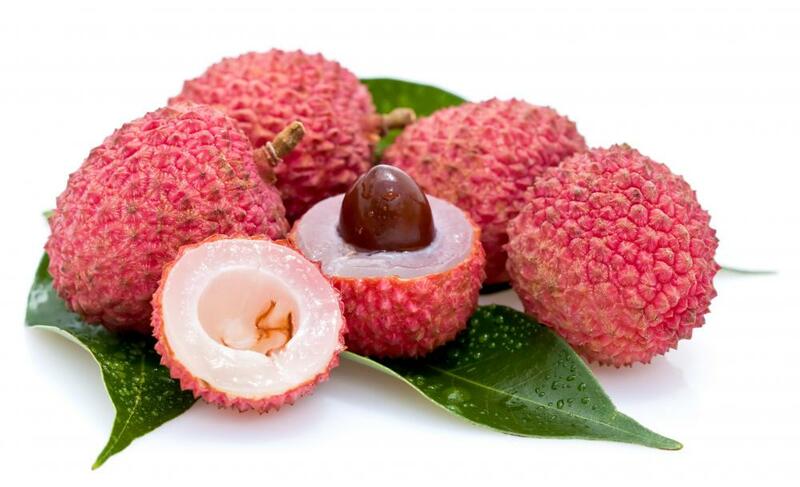 Lychee—pronounced [lee-chee] in the United States—is a squishy, almost translucent, yet sweet fruit that’s contains a large oval seed and is coated by a spiky brown exterior. See one here. And guess what. IT’S LYCHEE SEASON. It started in May and goes throughout the summer. You can find these pearls at major supermarkets near you. (Plus, you can usually find the canned versions all-year round). FINAL NOTE: Don’t get all up in arms. Lychee may sound weird, but it’s a good way to add a new taste to an old drink. The freshly ground mint paired with the ice-cold syrupy goodness of the frozen lychee makes for a mojito that requires less sugar than usual and gets stronger the more it melts. Now, who wouldn’t want that? Difficulty: Much easier than a sword fight. Much, much easier. FREEZE! Skin and de-seed your lychees. Then, grab an ice tray and place each lychee into a cut out. Fill each cut out with club soda, including the cut outs without lychees. Freeze overnight or about 5 hours, until all liquid becomes solid. *Note: If you bought canned lychees, make sure to add some of the syrup to the ice trays, too. This makes your drink extra sweet! Muddle it over. Add the mint leaves and lime wedge to a mug. Using a muddler (or the end of a wooden spoon), smoosh the leaves and lime until you have a decent puddle of liquid in your cup. Then, add 2 more lime wedges and the white sugar. Muddle again. Commandeer a new glass. Transfer the mint mixture to a fancy looking glass, if you have one. Fill the glass with 3 lychee ice cubes and a few club soda ice cubes. Make Jack Sparrow proud. Pour the rum over the ice. Then fill the rest with club soda. Stir, taste, and add more sugar, if desired. Stick a sword in it. Like these awesome cocktail picks! This isn’t a horrible clean up, unlike a sword fight. However, you might want to warn people before leaving eyeball-looking items around the house…now THAT is horrifying. Want to see Captain Jack Sparrow freak out about rum? Here you go, mate. There is such a thing as a mojito pirate. Clickers. Desperate for more pirate puns? YARRR!! !